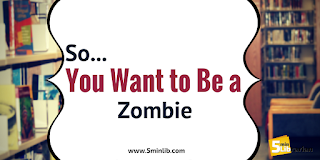 Today, I would like to share a fun and easy program you can do with your teens (or you can do on yourself for an easy Halloween costume!). 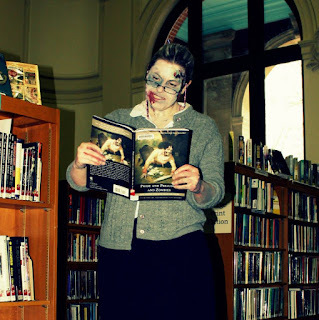 In a previous position, I held an annual Zombie Day at the library, and it was awesome - we watched two movies, ate Jello-o brains, and did our own makeup. The first year we did a Zombie Day, I hired a makeup artist to turn us undead, but the next year, I decided we could learn to do it ourselves. I'm so glad we did! Our artist was wonderful, but that was money we could spend on other things. And, as it turned out, more teens were interested in doing their own makeup, as we had about twice as many people as we did the year before! 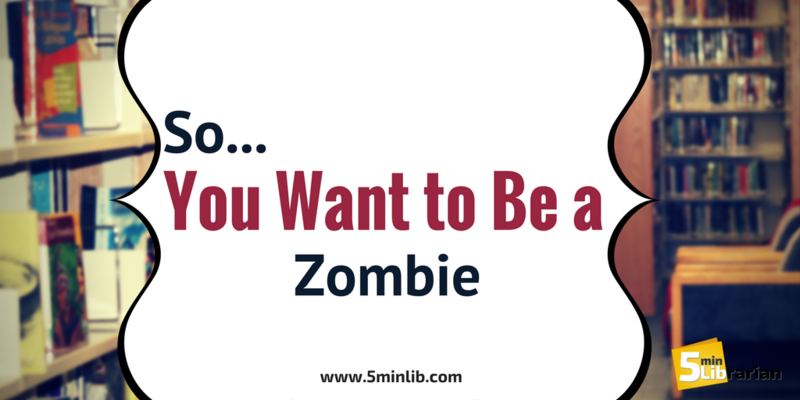 For those who would like to host their own Zombie Day, here is a quick tutorial on how to turn yourself into a zombie. I'm using my own face and hands as a tutorial, so please forgive the zombie selfie photos. Give yourself a nice, even coating of a pale, sickly color, anywhere you would like to apply makeup - face, hands, even knees if they stick through the holes in your jeans, whatever. Try to get at least part of your neck, or else the makeup will look just like a mask. My makeup ended up a fair bit more caked-on than that, but you get the idea. Try to get your lips, too, if your makeup is safe for that (it will say so on the tube). Always do a test patch before you apply! I know we said that, but it's worth re-stating. It smells really bad. Fair warning. You can use things besides toilet paper for texture. Coffee grounds make excellent scabs, and crushed cereal gives you a flaky, falling-apart look. Experiment and have fun!